They are pretty sunken in, and to get the width I need adapters instead of spacers. Also the rims are not changing and there is only so much increasing tire width will do for me. the rears will need stretched tires for sure. I have 18x10 +25 and it's close. So these with 295 in the back won't work? i am widened in the back . I think I will just go ahead and do it when the time comes in a few weeks, I will post pictures of them, and try to find a before picture. Hey guys im really sorry for bumping this thread but I literally cannot find anyone with this combo. I found a screaming deal on work meister sr2's and I want to pull the trigger on them but I have no idea if they will fit especially with the merc bbk up front. I'm fairly certain they will but I want to know your guys' input on them. They are 18x8 offset +48 18x9 offset +62. The offset is so high and idk what they might look like. Any input would be awesome. don't do it. that is a horrible offset and size. Not sure if it's been discussed, but for those looking into tires, check the section width and tread width, it will blow your mind. I'm currently running 275/35 on 18x9.5 +22. I've ran that size before, but the RE71R tires have a wide tread width and rubs a lot. I still run them though lol. 15x10 +63.................. any chance in hell they would fit on a mk3? You'll have to put in stock specs which IIRC is 225/50-16x7 +37. Looks like with a 255, it will be 1.6" closer to suspension and be a little sunk in from the fender. And that would be in the rear only. 15s won't fit up front. 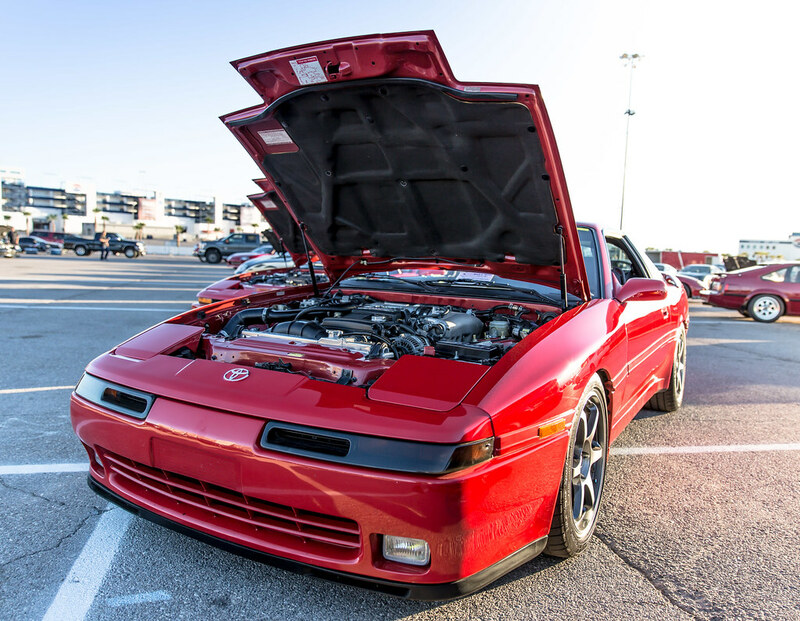 need some help on choosing the right rims size for my 90' Mk3. Rims model I want is: MB Battle (http://www.wheelsbymbmotoring.com/product.php?wheel=Battle&finish=Matte Bronze), and in 18" size. I don't want to use any camber, neither fender rolling. I'll just buy new suspensions set to lower my car (because 18" rims on stock Mk3 looks horrible - 4x4 style, and I'll get much better handling during trackdays). I'd like it close to flush, but with keeping enough space to avoid any rubbing (since I race on tracks). If not, what would be the best choice for rims and tire size taking into consideration the rims available sizes and compliant tire sizes I've listed above ? With those sizes, I'd go with 18x9.5 +23 with 255/35. I prefer a square setup if you're going to be going through corners. IMHO, it's more predictable. And it should be flush without any rubbing issues. Thanx, but with the sizes you propose, wheel and tire will stick out 29 mm (1.1'') farther than stock rims/tires :nono:. I'm not sure there's enough room under the front fender (maybe ok for rear...). I need to measure the room I have. I've ran 18x9.5 +22 with 275/35 all around. Dunlop Direzza DZ101 with just a fender roll with zero issues. The max out I went up front was 18x9.5 +12 with 255/35, and it rubbed then. That's max out you can go with a rolled front fender. 18x9.5 +23 would be pretty darn good. I don't think you'll have any issues at all. I was running 18x10+25 all around and fit 275-35's up front and 295-30's in back. had to do just a little roll and pull. 205-65-15 and 275-50-15 nitto 555r's. due to the drop lip design of the wheels, I had to massage the front calipers to fit. How would 17x8.5 +58/18x9.5 +65 look or fit. And what tires would you guys recommend? I would say 235-40 and 255-40. you might be able lo fit 275-40's, but i'm not 100% sure. you may need a roll. Not sure what you need adjusted, that's pretty decent fitment. Usually people go a bit too wide with XXR's and they don't have the offset right. Yours seem to tuck in quite well. 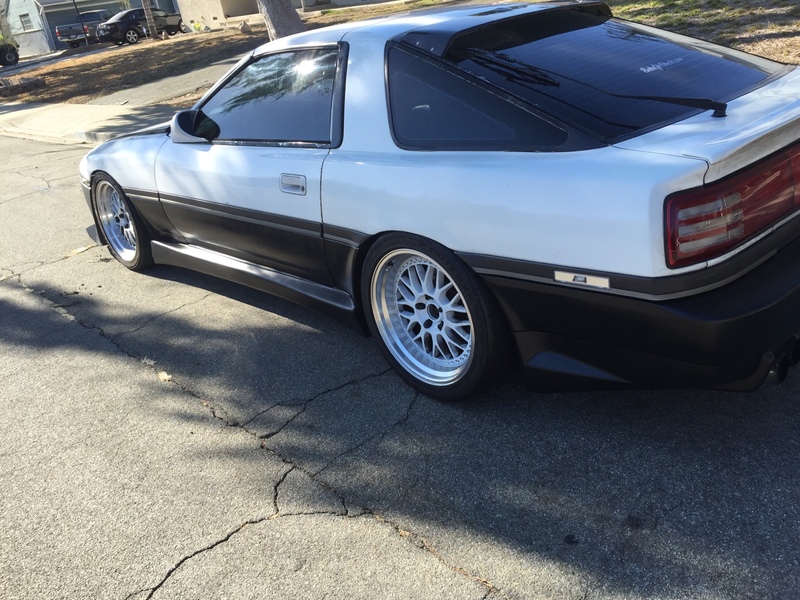 Can you guys help me size wheels for my supra? I don't want to roll fenders if possible and I think I want to stick with 18's all around (unless you can convince me to go 17's). I'm looking to get Cosmis Racing XT 206-Rs. Thanks for the sizing help in advance. I found that the Falken has a rounded sidewall which allows for the 265 on a 9" rim. Any wider (275's) and I get pretty tight to the inside of the wheel area, so I opted to live with the 265's. Car has ST Swaybars and HSD Coilovers with about a 1" drop (looks a bit more). This is a bit too low for my roads.. I tap with my front bumper. Tires have different "shoulders" so on a rounded shoulder, you probably would never have an issue. My tires were sharp shouldered. Don't forget the hub centric rings though. You guys rock. Thanks very much! I'm running Eibach lowering springs and Koni Yellows set to firm. I'd like them to look as much like Rodel's as possible without any fender rolling etc. Thanks again in advance guys/gals. Any suggestions greatly appreciated. The Cosmis are not working out in case anyone is wondering...lol. of those sizes, 18x9.5+27 is your best bet. 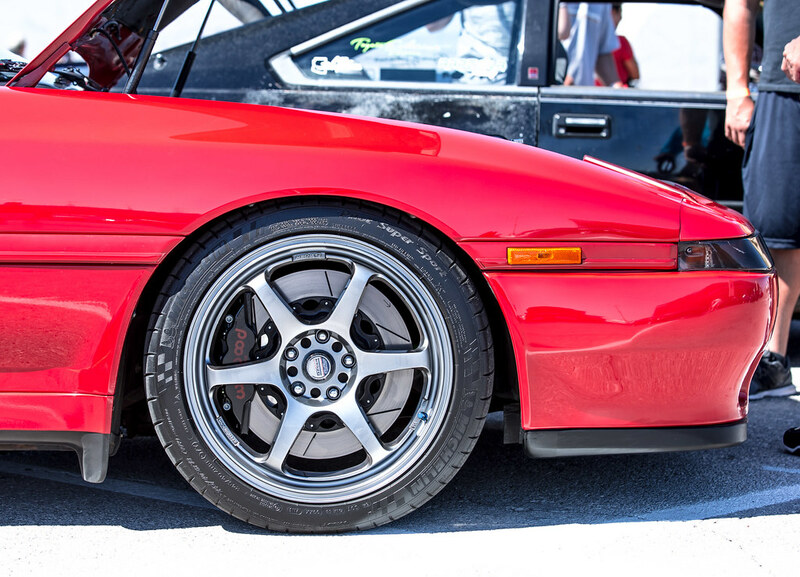 that wheel also comes in a 18x10.5+30 size, but you'll have to roll the fenders for that one. I'm currently running some old Koenig Villains (17x8 front and 17x9 rear) and I had to get a 5mm spacer in the front to clear my brakes. I ran out of talent a while back and banged up the wheels pretty good, requiring some welding to repair one. They've never balanced right since, and I'm ready to replace them. I think I want to go to 18s, and I know I want more than my current 255 tire out back. I'm not opposed to rolling/pulling the fenders a bit, but would like to avoid a stretched tire or silly camber. The car needs to perform, not just look good. Can I run 18x10.5 15mm offset rears and 18x9.5 15mm fronts and make it actually work? The thing about rubber is more of a Why? I have 265's on 18" rims in the rear with a +42 offset and they don't stick out. Plenty of room for BBK if I want. However, this means a stiff sidewall, so not the best for off the line take off because no flex. My wheels don't poke out but if I was at a 1.75" drop I would probably rub slightly on big bumps. I actually just raised my car 1/2" because it was rubbing on the front bumper too much coming out of parking lots. Funny how the ride actually is now a lot more comfortable. So to run 10.5" rims your going to poke out a fair bit. My 9" with the 265's give me about a fingers width clearance on the inside. I've seen 10.5 on a super clean Supra and the only ting I could think was ... why? Talking to the owner, it was solely because he didn't realize how they would poke out. So, aesthetically wide tires look meaty and cool, but I like mine to perform their function without damaging the car. I think my total drop now is about 1".